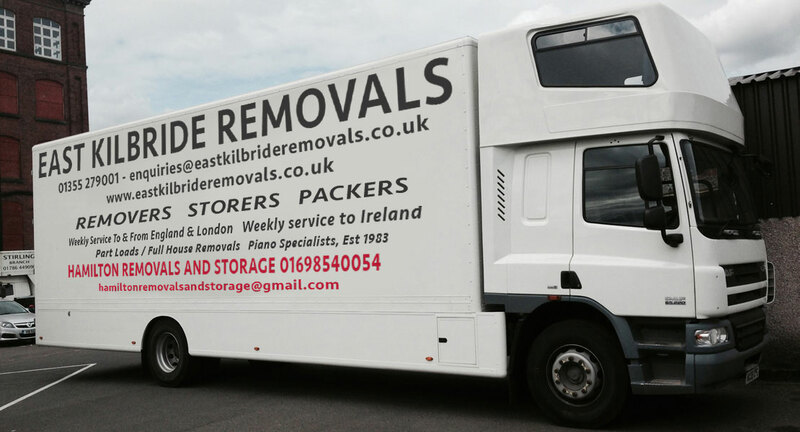 East Kibride Removals specialise in house removals, office removals and commercial removals, furniture removals and storage services in Scotland. The company is based near Glasgow, Central Scotland, ideally located for Edinburgh, Glasgow, Lanarkshire and all surrounding areas. 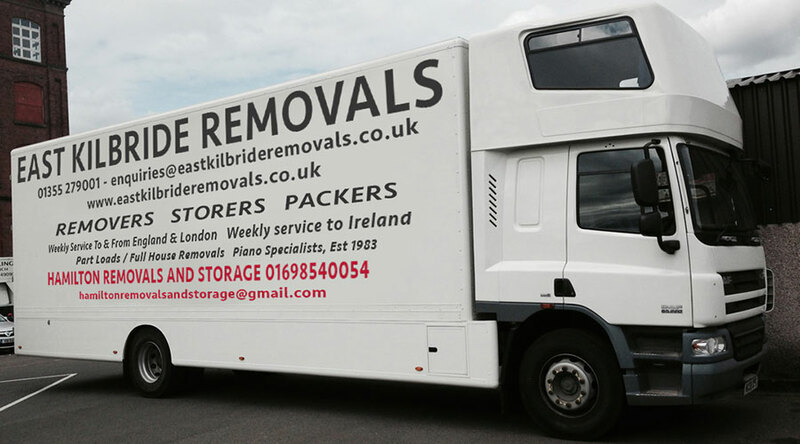 East Kilbride Removals fleet cover removals and furniture delivery throughout Scotland, the U.K., and Ireland. East Kilbride Removals specialise in removals and storage in Lanarkshire and surrounding areas of Scotland. 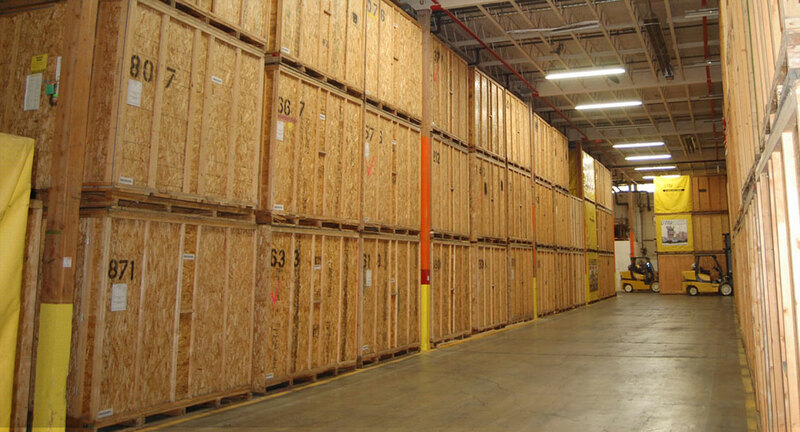 Our fleet are experts in commercial removals, domestic removals and office relocations. Polite, courteous and on time East Kilbride removals are the first choice for removals in Lanarkshire. 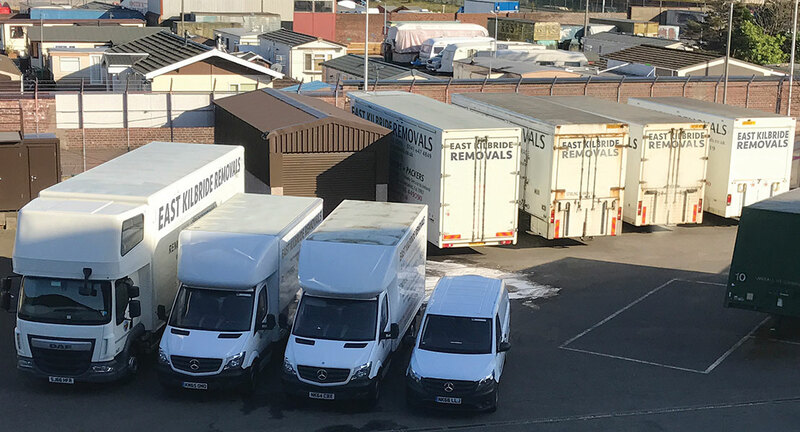 East Kilbride Removals Ltd have been in the removals business for over 25 years, still a family run company and have established themselves as one of the best in the removals industry in Scotland. Moved with ease, no hassle, guys were on time and very helpful and polite plus prices are very reasonable and the guys take great care moving everything. Excellent service, thanks guys. We used this company and they were superb. They made a very stressful experience much easier because of their professionalism as well as their sense of humour! I would not hesitate to recommend them. Fabulous service.